Each year at least 350 million people around the world are infected by malaria parasites. More than one million people, mainly young children, succumb to the disease. But these numbers would be even higher if it weren’t for genetic adaptations that have evolved in populations living in areas where malaria is a common threat. 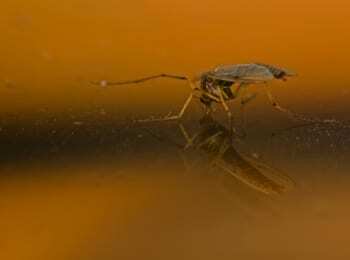 New research, published recently in the Proceedings of the National Academy of Sciences, suggests that just as malaria has put evolutionary pressure on humans, humans are causing genetic changes in malaria parasites. Probably the most well known human genetic adaptation to malaria is the mutation in the hemoglobin gene that causes sickle cell anemia. When this DNA change is present in only one of a person’s two copies of the gene, the person is protected against infection with the P. falciparum type of malaria. Other people are protected from a different parasite, P. vivax, by virtue of a variation in the DARC gene. Two copies of this variation prevent a person’s red blood cells from expressing a protein called the Duffy antigen that is believed to be key for P. vivax invasion of the cells. In Madagascar, however, it seems that the P. vivax malaria parasite may have evolved a way to infect red blood cells that does not depend on the Duffy antigen. If this research is substantiated by further studies, it could have important implications for vaccine development. Blood from 661 school children from eight different study sites was analyzed for the Duffy antigen and evidence of P. vivax infection. Seventy-two percent of the children were Duffy-negative. Of these Duffy-negative kids, 8.8% showed evidence of P. vivax infection. A separate analysis of 183 people with symptoms of malaria showed that 17 were Duffy-negative. Although some of these people harbored multiple species of malaria parasites, nine had only P. vivax in their systems. Together these results show that Duffy-negative people are susceptible to P. vivax malaria. The authors point out, however, that Duffy-negative people were still less likely to experience P. vivax infection or symptoms than their peers, suggesting that invasion of their blood cells by the parasite may be somewhat impaired. The researchers think that because people from populations that are predominantly Duffy-positive have moved into Madagascar over the past two millennia, the P. vivax parasites have had enough people in which to multiply and survive that they’ve had time to evolve new mechanisms of infection that allow them to get around the problem of Duffy-negativity. More research will be needed to verify the findings of this study, but if these results are replicated, it will mean that researchers working to develop a vaccine against P. vivax will need to rethink their strategy. Much of the work so far has focused on triggering an immune response to the malaria parasite protein known to exploit the Duffy antigen for access to red blood cells. The idea is that if a person makes antibodies that block this protein, the end result will be the same as for people who are Duffy-negative–the parasite will be unable to infect red blood cells. But the authors of the current study suggest that if P. vivax can in fact utilize multiple pathways for invasion of human red blood cells, vaccine researchers should be aiming to immunize people against multiple proteins so as to cut off all avenues of infection.